Superior business costs and quality of place are must-haves for outdoors industry. When former U.S. Olympian and four-time world champion kayaker Eric “E.J.” Jackson turned his passion for the sport into a business, he selected White County, Tenn., after having traveled most of the United States throughout his years as a professional athlete. Jackson was attracted to the beauty of the area, the temperate weather, and of course, great kayaking opportunities. “White County was my favorite place to visit when my family and I lived in an RV for eight years,” Jackson writes in an email correspondence. 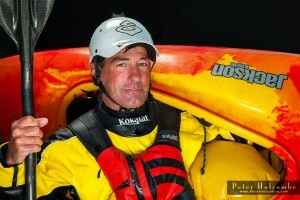 “We bought land here to live first, the business came second.” He began Jackson Kayak in 2003. The company manufactures kayaks, coolers, and kayak-related accessories from an 110,000-square-foot factory in White County. 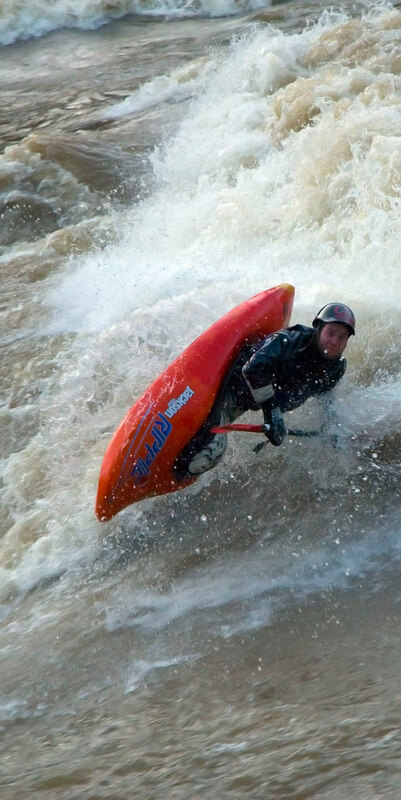 The company primarily produces whitewater and fishing kayaks, as well as recreational kayaks, and performs OEM custom molding. In April, the company announced expansion plans due to the international popularity of the brand and the launch of the Orion high-performance cooler. The company expects sales to double over the next five years. “We are at capacity at our current facility,” Jackson writes. 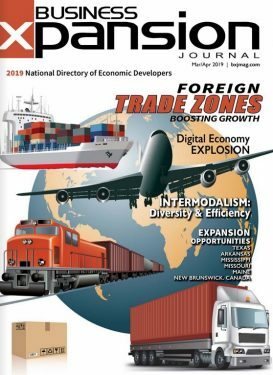 “We purchased a new factory to expand into and are working now on getting it ready for action.” At the time of the expansion announcement the Tennessee Department of Economic and Community Development said Jackson Kayak will invest $6.5 million in the expansion, and create 250 new jobs. The company is looking forward to its next chapter in White County “with our new 300,000-square-foot facility where we intend to continue to grow our business and our workforce,” Jackson said when announcing the expansion. In Oregon, a snowboarder with a love of the outdoors had an “aha moment” when engaged in a woodworking project. Eric Singer envisioned frames for eyewear while working with a limb from a madrone tree. 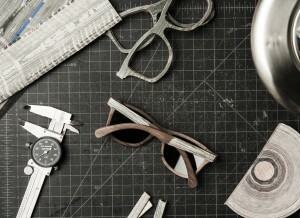 An experimental brand from the beginning, Portland-based Shwood Eyewear has set the stagnant world of eyewear on fire, where companies such as Ray-Ban are now offering wood frames for eyewear. Kirkpatrick says Shwood Eyewear sources its wood from a company in Portland, which procures wood from all over the world from plantations, and which is sustainably harvested. The company benefits in several ways by operating in Portland, including unintended benefits. Shwood Eyewear is located in a building in an up and coming neighborhood in southeast Portland. The company moved from a Portland suburb in order to address the quality of life needs of its 35 employees. Most of the workforce lived in the city and preferred to ride bikes or take the bus to work. By moving operations to the city, Shwood Eyewear has reduced the net commute time for its staff by 60 percent. The rewards of operating from a location that experiences all four seasons bodes well for outdoor recreation companies. This scenario is seen in Utah’s recreation cluster, which features leading clusters for skiing related boutique companies (Park City) and cycling companies (Ogden.) 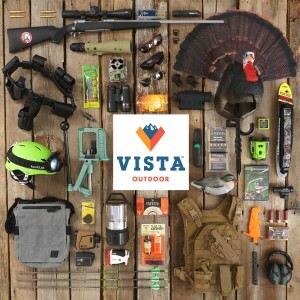 “We have a great landscape and outdoor space for our customers and ourselves to enjoy and test out the products that we make — it is right here in our backyard,” says Amanda Covington, vice president of communications and government relations, Vista Outdoor Inc., which spun off from ATK in February. Utah’s officials created the Office of Outdoor Recreation three years ago, the only such agency in the country at the time, to elevate the state’s outdoor recreation cluster, a component of which is outdoor products and services companies. The company is building its corporate headquarters at Station Park in Farmington, which is a mixed-use development located close to the airport in Salt Lake, a commuter rail station, and freeways. “It provides ease of access for customers, employees, our board of directors and shareholders,” Covington says. “We feel we picked an epicenter to put our headquarters in and it supports all of the activities we participate in. Utah is a great place to enjoy all of the activities that our products support.” – Amanda Covington, vice president of communications and government relations, Vista Outdoor Inc.
Petersen espouses the advantages of testing products out immediately from a Utah location. He points out the relocation of Armada Skis Inc. from California to Park City. “They want to design a ski, manufacture that ski in their own facility, and take it up on the hill within that same week or the next day, and test it out to see if it has the characteristics they built into it,” Petersen says. A cycling industry cluster centered in Ogden is self-fulfilling in regard to its expansion, Petersen says, as companies clamor to take advantage of the industry synergies found in the area. Quality Bicycle Products, a distributor, has located a number of its suppliers to the Ogden area to fill its supply chain. “I just came back from Interbike [trade show] in Las Vegas and Ogden is known as a destination for cycling, where companies are looking for synergies,” Petersen says. Petersen says when it comes to talent, Utah’s universities are fulfilling outdoor recreation companies’ needs by training students in design, for example. “And you have employees who are willing to move to the state because they know if things don’t work out at one company, there are others around,” Petersen says. In a nod to Utah’s quality of place assets, Armada Skis officials guaranteed employees if they didn’t like living within Utah and/or Park City in the first year, the company would pay to move them back to California. “That is a big commitment from any business, but I think you see that in particular in the outdoor industry, where they are committed to their overall core mission,” Petersen says.